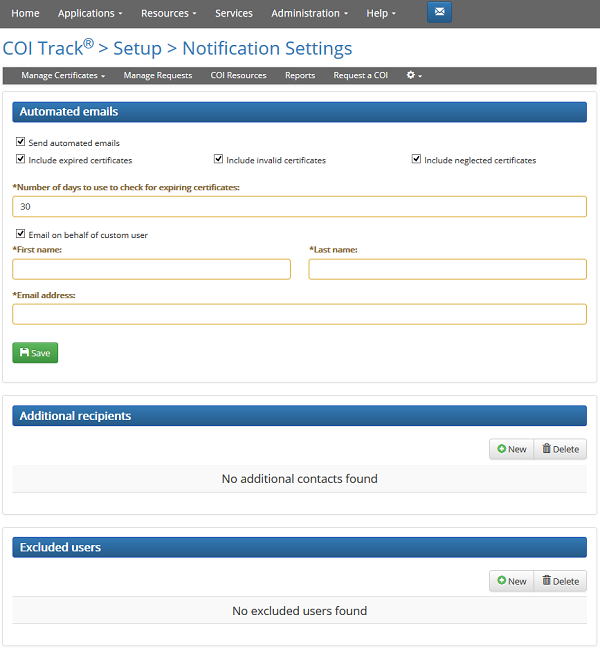 COI Track can be configured to send a weekly email to users that provides a summary of certificate information. Enable this feature to customize the sender information for the notification email. The notification email is sent to all users in your account who have access to COI Track by default. You can enter additional recipients here. Use this section to block specific users from receiving the notification email even if they have access to COI Track.